In the winter months, it’s easy to choose tea or coffee over water, but these choices dehydrate us, especially because we spend all of our time indoors in dry heat. This recipe is great for boosting your hydration while also warming your body from the inside out. So, say goodbye to that teeth-staining coffee and hello to fresh, energizing, tropical flavor! 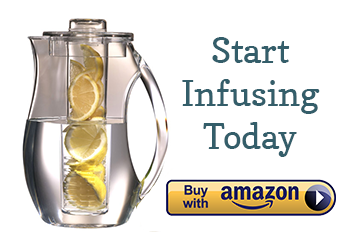 Infuse at room temperature for 2-4 hours. Infusing for longer periods will increase the spiciness. Enjoy the water at room temperature or with a couple of ice cubes. 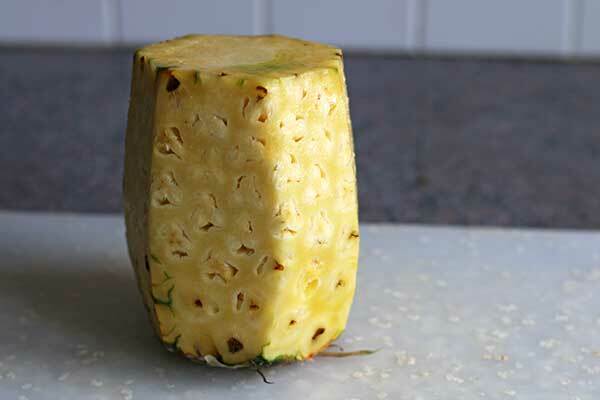 Slice the sides off of your pineapple, then cut it into spears. Save the core. 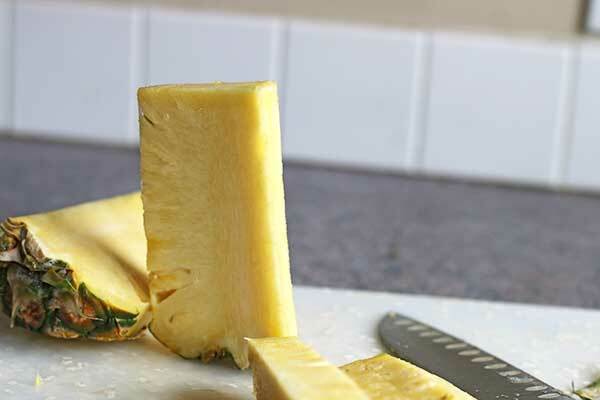 With infused waters, you can actually use the pineapple core instead of tossing it! The core counts as one spear. 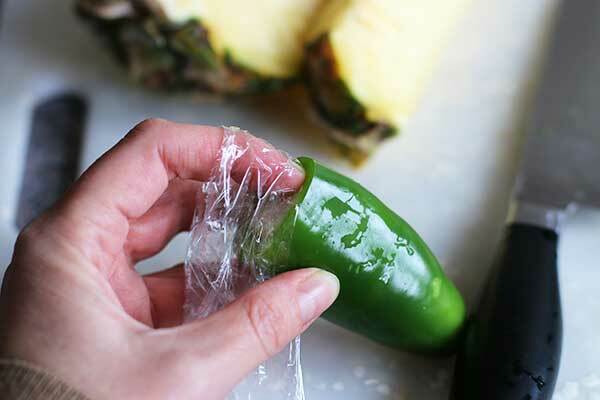 Tip: use a small piece of plastic wrap to coat your finger when digging out jalapeno seeds. Otherwise you risk having a burning finger or even eye (yikes!). You can also use a small pairing knife to cut out the pepper’s core. Cut 3 slices. You can use up to 5 or 6 slices, but the water will be quite spicy. Fill your pitcher with water, first. 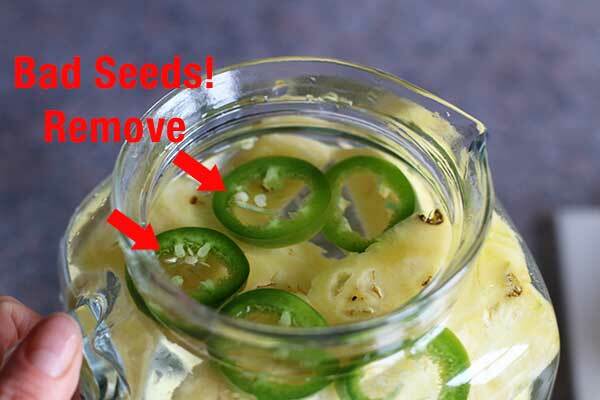 This is important because filling your pitcher after you add the fruit can result in floaters. 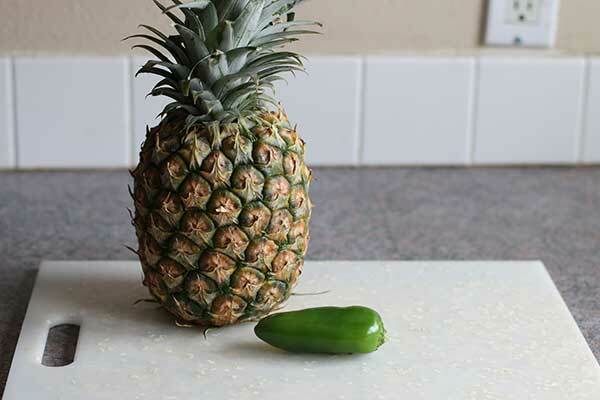 Did you miss some seeds in your jalapeno slices, like I did? Remove them! Otherwise they will increase the heat and also create an unpleasant sensation when drinking. 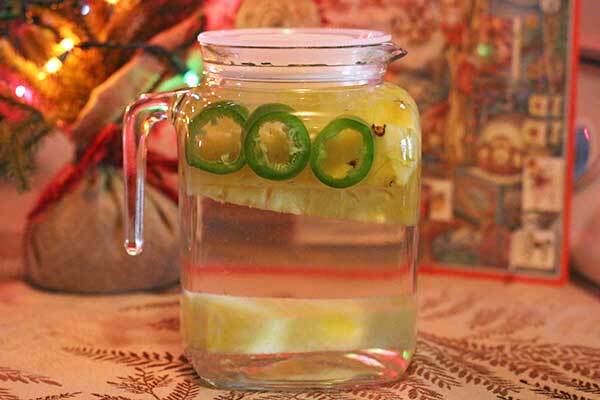 Infuse at room temperature for 2-4 hours and enjoy. very nice and very delocius,. Yes I made so!e and enjoyed it. I am trying to subscribe to your email recipe list and it will not take. It keeps giving me an error.